I am still on the mission to use up my old flours that are sitting in the cupboard (see rosemary and linseed crispbreads for the first). 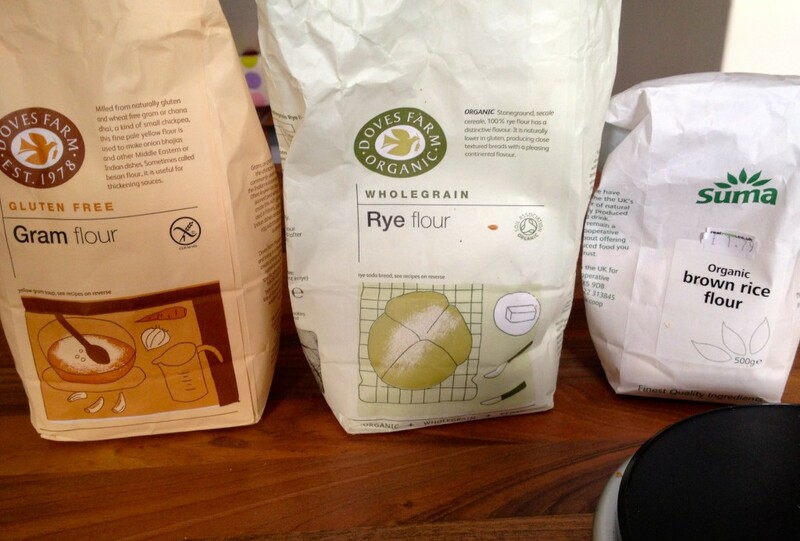 The three pictured above make a very useful flour mix when combined, and you could substitute the rye flour for buckwheat to make it gluten-free. Pancakes have long been one of my favourite things. I could live off them. 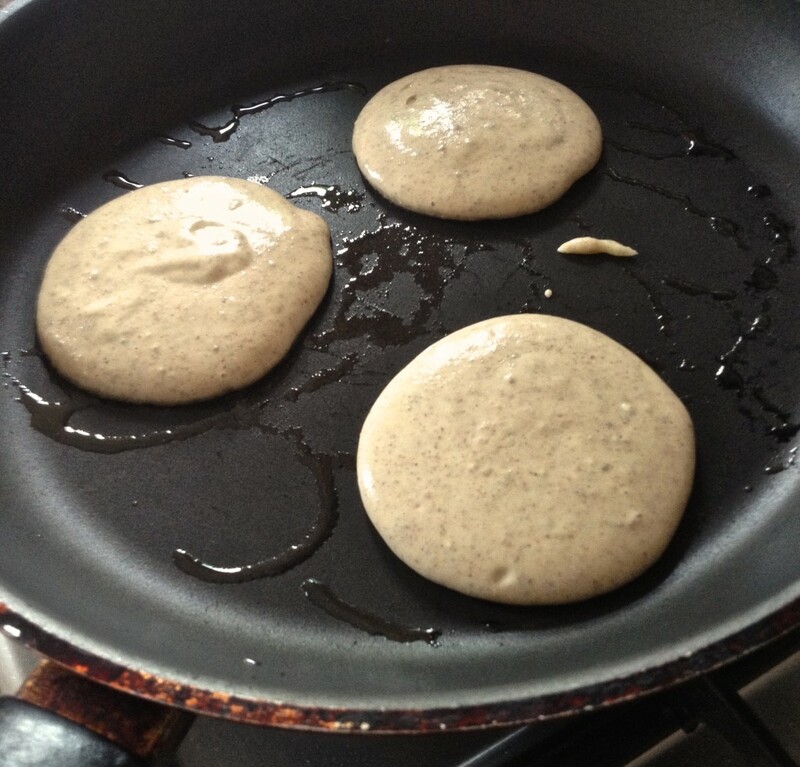 Back when I was at university (the first of three), I often made black pepper and cheddar mini pancakes to have with my soup and kept some batter to sweeten up later for breakfasts. These savoury pancakes are another from Hugh’s Light and Easy and have the texture of a normal drop scone or pancake but without the wheat and dairy. I had some for breakfast with scrambled egg and thoroughly enjoyed them. Very quick too, so perfect for breakfast. Combine the flours in a large bowl with the salt and baking powder, leaving a well in the middle. In a separate bowl or just, whisk together the egg, oil and water. 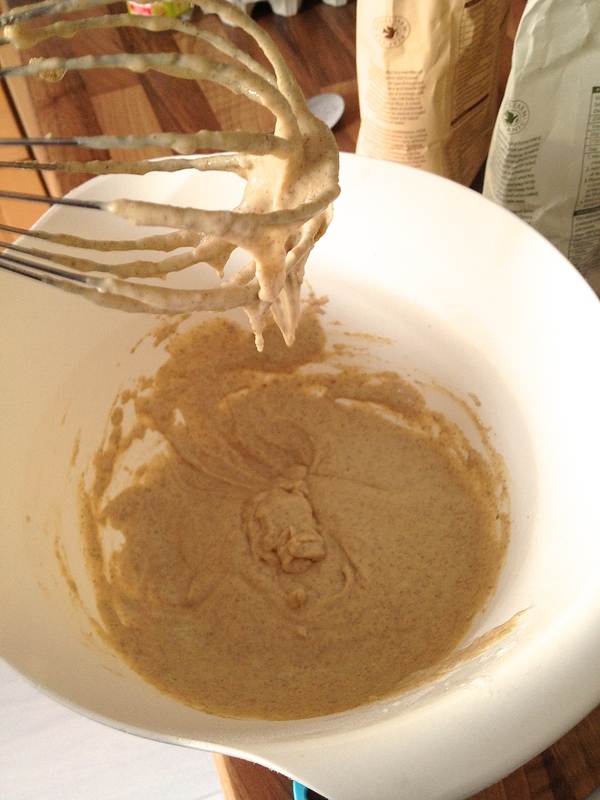 Pour the egg mixture into the flours and whisk until smooth, adding a good grind of black pepper. Add a little more water if necessary to make a thick batter but one that falls easily off a spoon. Heat a frying pan and melt a teaspoon of coconut oil in it (you could just use a few drops of oil). Spoon the batter into rounds with a wee gap in between them. Cook on a medium heat for 2 minutes or until they start to set on the top, then flip them over and cook for a further 2 minutes. Serve as an accompaniment to soups or salads or top with scrambled egg for breakfast. 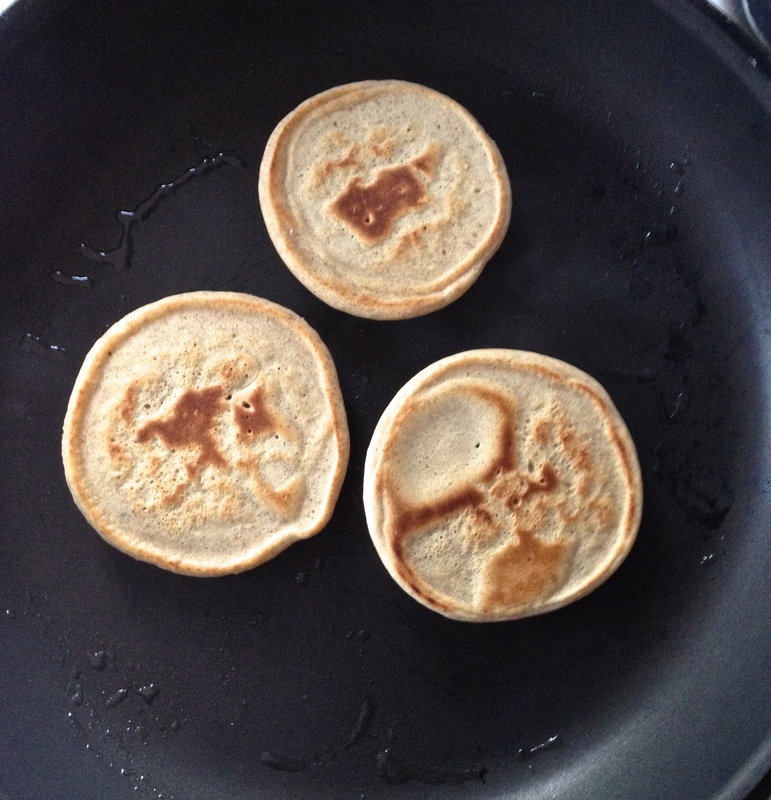 Quick, easy, wheat- and dairy-free – but most importantly, still a pancake. Posted in Recipes and tagged breakfast, cookbook, dairy free, egg, eggs, flour, gluten-free, Hugh, light and easy, lunch, pancakes, recipe, side, wheat free.